Instead of throwing back these skinny cod, fishermen and researchers have joined forces in a project which then cultivates these fish under controlled conditions. The initial results indicate that on average the cod increased by 200 grams per fish, yielding 35% additional weight. As the latest ICES Baltic Fisheries Assessment Working Group report indicates, this is a significant increase. The project will continue until spring 2019 when the picture of its results will be clearer. The research also aims to provide insights into the survivability of fish with different parasitic stresses. In the first trial 100% of cod were infected with parasitic worms or nematodes. 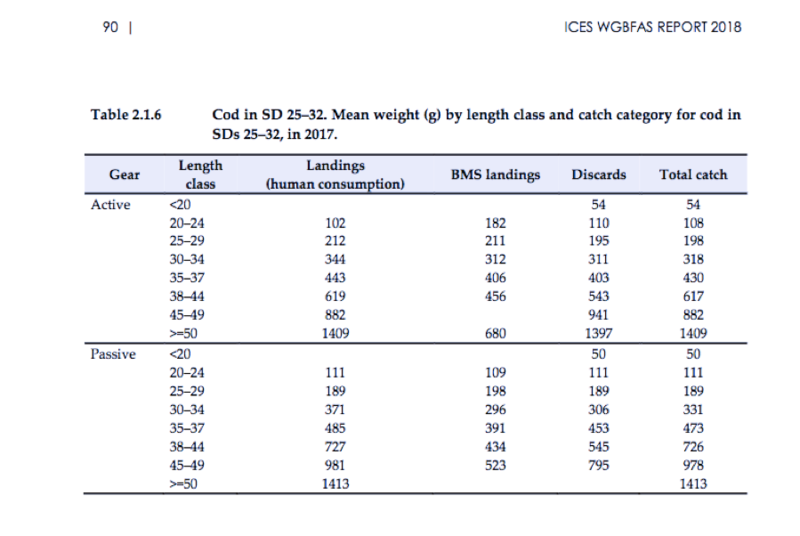 The initial results appear to add weight to the argument put forward by ICES for the past five years that redirecting the sprat fishery northward, where its population is larger and away from where cod density is highest, would be beneficial for the predator cod stock as the food supply would be greater and likely reduce their natural mortality and poor health. At present the majority of sprat fishing takes place in the area where the cod stock is skinny but most populous, and not in the northern waters where there are more sprat and herring.